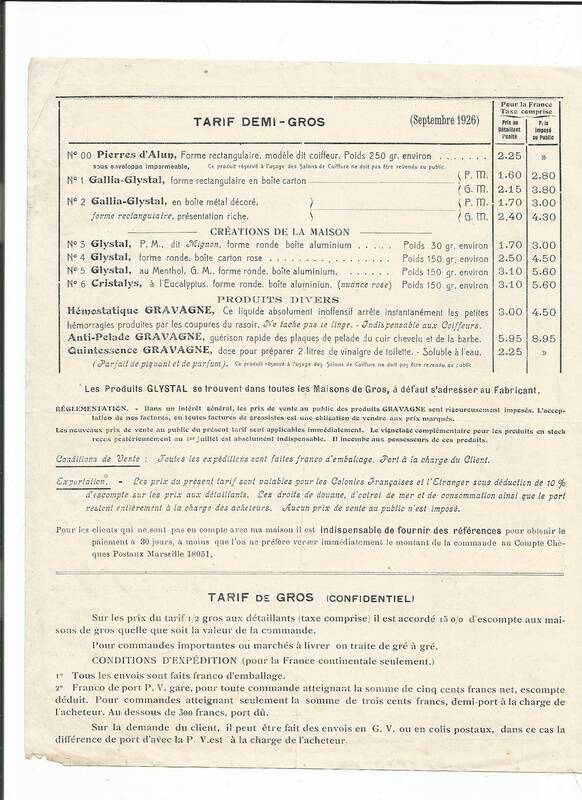 Antique 1926 Gravagne Glystal Barber Pharmacy Merchandise Advertisement Catalog Page Ancien Ephemera. This is an old pamphlet from E. Gravagne, chemist pharmacist. The date is Sept 1926. This is a single piece of paper with printing on both sides. 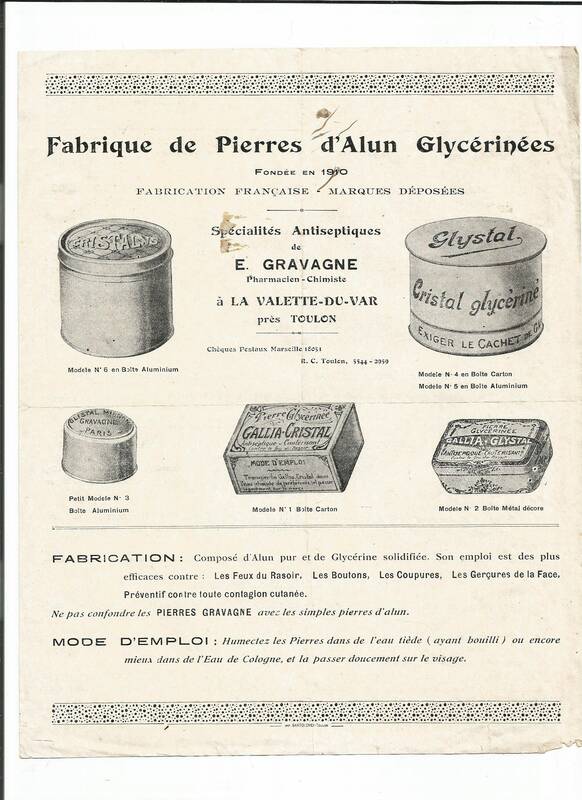 Advertising "Les Produits Glystal pierre d'alun glycérinées", (glycerinated alum stone). This would be a great addition to your perfume ephemera or use it in crafting or scrapbooking. The condition is good, please note that the paper is old, age tones, thin and may show signs of dog ears, folds, or wear along edges.